Produced by Barbadian Director Bob Harris, the documentary tells the story of what happened when the 7.0 magnitude Haiti earthquake struck on January 12, 2010, and how Jamaica would cope with such an event now. 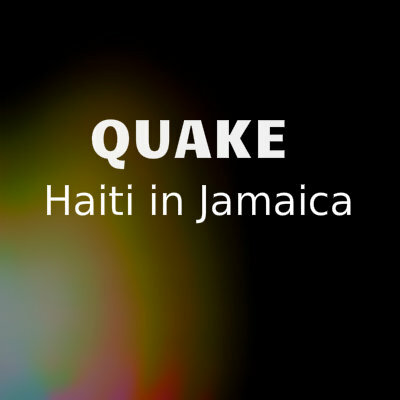 ‘QUAKE: Haiti in Jamaica’, a documentary dealing with the implications for Jamaica of an earthquake similar to the one which struck Haiti on January 12, 2010, will be aired during Earthquake Awareness Week locally and across the region. The documentary tells the story of what happened when the 7.0 magnitude Haiti earthquake struck, and how Jamaica would cope with such an event, says Producer Bob Harris. This is of major significance as the impact would have been experienced in Jamaica instead of Haiti had the earthquake occurred just a few kilometers to the west. He was speaking at the Office of Disaster Preparedness and Emergency Management (ODPEM), where the documentary was premiered on Tuesday, January 10. 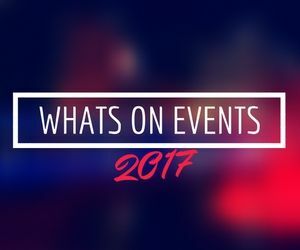 After its TVJ debut on Wednesday at 9.30 pm, it will be shown subsequently on the Public Broadcasting Corporation of Jamaica at 9 pm and regionally on Caribbean Media Corporation 7 pm on Thursday, January 12. Tapping the expertise of Dr. Parris Lyew-Ayee, Director of Mona GeoInformatics, and Dr. Lyndon Brown, Head of the Earthquake Unit at The University of the West Indies, the documentary examines how an earthquake emanating a few kilometers west along the same fault as that of January 12, 2010, might impact Jamaica. “The disaster in Haiti occurred along the Enriquillo-Plantain Garden fault zone which runs through the Plantain Garden River basin in Jamaica, through Haiti and into the Dominican Republic,” Dr. Lyew-Ayee said. The insurance industry plays a critical role in funding the recovery process after a major catastrophe, and NEM Insurance Co. Jamaica Ltd. General Manager, Chris Hind, explains how this is achieved and the latest developments in ensuring accurate risk assessments. A detachment from the Jamaica Defence Force was among the first responders to the Haiti event. Members of the team share their experiences as they witnessed the immediate aftermath and aided in the recovery process. Uncensored earthquake video footage is used to illustrate what happens at the zero hour of a major earthquake. Ronald Jackson, Director General of ODPEM, discusses the effectiveness of Jamaica’s emergency management system to deal with such an event. Pointing to the challenges in the global economy and the string of major natural disasters over the past two years, he gives a sobering assessment of the likely flow of aid to the island in the event of a catastrophic earthquake occurring in the near future.